The CLS problem has been solved. On some early D800 cameras a circuit board which controls the popup flash must be replaced. That is what Nikon did with my camera. Read the full story here and a summary here. With some D800 bodies the replaced circuit board solved the problem, with my D800 body it only solved the problem partially. CLS in manual mode only works when the aperture is fully open. The Nikon technician told me that this will be fixed with another firmware update in late 2013. Today I played around with the D800 again and gave it a test run in the studio. I encountered problems triggering the flashes via CLS reliably (read below the dashed line if you do not know what CLS is). Here is a video to illustrate the problem. And off they go. This happens within fractions of a second and is usually not noticed by the photographer. The only thing I noticed is that in the first test you are shooting directly into the sensors. In the second test they flashes are turned away from the camera. Is it possible that the direct flash is overpowering the photodiode? I’m not trying to make excuses for Nikon, just noted the inconsistency in the test. Hopefully it is something that can be resolved in firmware if it is a real problem. The guide number is slightly lower on the D800 so that in itself shouldn’t be an issue with overdriving the sensor. Hi JLK, If this was the problem, then why did I have severe problems in the studio, where the master flash did not directly fire into the sensors ? And why does it work with the D300s. anyway, just looking to rule out for environmental issues. possible you got a dud but it is too early to make a judgement. Somebody else mentioned an issue with triggering the flashes when the camera was set to auto ISO. Another thought – could your ISO have been turned up high enough that the camera didn’t think it needed the flash? Mine seems ok with sb600, sb800 and sb900, set on group A channel 2. Perhaps the flash on the D800 is stronger in CLS mode, and with it so close on your test it may be outside the range of the flash sensor on the flashes. They have to read a pulsed flash signal, so there must be a range of light for it to read all the pulses built into the seemingly one trigger flash. Too much may be possible, just as too little when you are 10 meters away. In your test you had the D800 directly at the sensors .3 meter away, while the d300 test had the flashes at an angle or the opposite side. I would recommend the same test with the D800 at a couple of meters. I have a SB800 and SB700 firing every time set to Group A, Channel 1 – sync speed from 1/250 to 1/60. I cannot reproduce that CLS firing failure. Tested on D800, firmware A 1.00 B 1.00 L 1.004, built-in flash set to CMD mode and built-in flash set to –, remote flashes SB800 and SB700 set to Group A channel 1. Flashes all fired every time. I unfortunately reproduce the problem with my D800, and I can tell : it is not a problem with over helming or distance : I’ve try it with different distance sometimes more than 5m away and the SB-900 nor the SB-600 didn’t fire every time. But I’ve tested with my D700 in the same condition as for the D800 : the flashes fired every time I’ve pressed the shutter. So there is really a problem with the CLS on the D800 … hope it will be corrected on the next firmware. I tried D800 + 2x SB900 + 1Metz 58 AF-1. Straighten to senzors, distance max 30cm. Commander mode, Built in flash off, All flashes in group A, Channel 3 and works perfectly. I have problems with my Mecablitz 15 MS-1 digital (ringflash). Command mode won’t work. I can only use it in Slave mode. The flash fires with other Nikon cameras. I have no problem using my SB-800 in remote mode or attached on the camera. I did a shoot last week and had a similar problem. I was having very inconsistent triggering of the flashes, but also was occasionally having the shutter lock out entirely and not fire a frame at all. It could have been the built in flash over heating, or waiting for a capacitor, but I never a problem with my D300. I hope this will get fixed. I would like to know the described issue only happens with the built-in Flash, or also happens to the hot shoe mounted SU-800 or SB-910/900/800/700 as master? FYI….not the same but possibly related. I was testing D800 for proper function with Chinese flash triggers, SB800 and SB900. I also used a Chinese radio shutter release. Shutter speed, aperture and flash power settings all manual. Got good exposures, extreme under exposures, black frames (reminiscent of what I saw in your video). Repeated test with monolights….same outcome. Removed radio shutter release and everything worked OK. Then I remembered I had tried my Nikon and Chinese 10 pin cable shutter releases. Both work fine on my D200 (as did the radio shutter release). 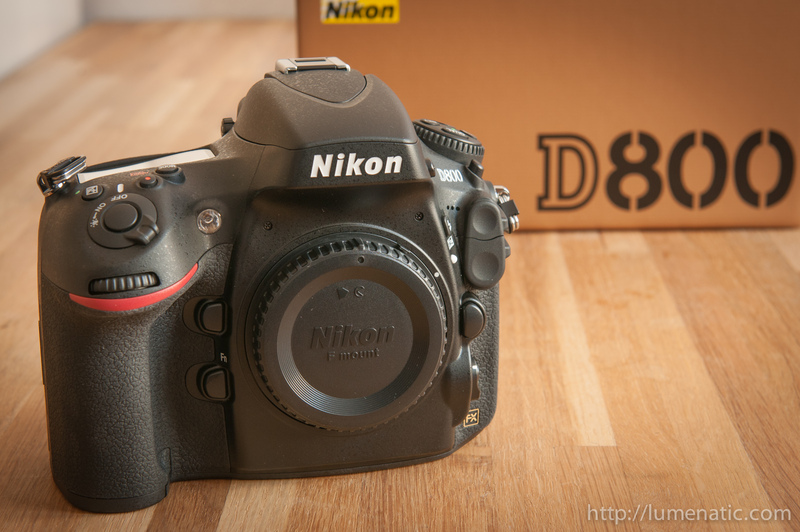 Only the Nikon cable release works on the D800. Interesting….wonder how this is related if at all….wonder if it is PEBTV….. I had delays up to 20 seconds with the 800E and the SB-900. Settings included A1.00, B1.01,, L1.006, aperature mode ISO 100, sync speed 1/250, shutter on flash 1/60, live view and standard view, camera flash to –, Group A varied 0.0 to -2.0, Group B set to 0 (though no flash was assigned to B), Channel to 3. Really, nothing different than on my D700, but some incredible delays. Varied shutter delay to 0, 2 and 5 seconds, and incredible delays no matter what. Tried mirror up and normal settings. Tried the auto mirror up at 0 sec to 3 seconds, still the delay was long. The first flash occurs normally- it is the “real” flash that has the delay. All shots were in a dim room at close quarters and there was no issue with infrared communication. Later, the system worked about right, though it does seem that that the 800 takes an extra 1/4 second to go from first flash to second flash. I have no idea what changed except going from tripod to hand-held, but not sure why that would matter. I am not sure if I understand the delay issue correctly. You mean, the popup flash flashes once with the master signal, then there is up to 20 sec nothing, and then the picture is taken and the flashes fire ? Yep. The popup signals the SB-900, the SB-900 makes its preliminary flash to let the TTL compute the actual power that is going to be needed, 20 seconds of delay, and then the shot (shutter plus SB-900). I repeated this many times with various settings. Finally, I turned off the camera and came back later to give it another go. This time it worked passibly, though there was a distinct quarter or half second pause between the SB-900’s first TTL flash and the second flash plus shutter. But that was yesterday. Today, after doing nothing but pulling the battery for recharging and moving the camera on and off tripod, it works perfectly. The two TTL flashes practically flow together. And yes, I still had 3/4 charge yesterday when it was malfunctioning. I really don’t know if pulling the battery fixed it, or if it was coincidence, What I do know is that I did not change any settings on the camera body. I think that the 70-200VR2 has tripod recognition in it, and if so, tripod mounting is the only other thing that got jiggled. So, right now, I’m okay. I would love to know what happened, though, and what the permanent fix is. Sorry for two posts above, and I’d certainly understand if you erased them. I had the flash in slow rear sync and the camera in aperature mode.. The very slow shutter speed was just a natural response to the low ambient light and low ISO, which override the 1/60 flash speed setting. The “improvements” in teh notes above were just natural response to improved ambient and a higher ISO setting. I just dumbed up and blamed Nikon. It wouldn’t be the first time. I have experienced this today as well, flash (sb800) would not fire unless I was behind the flash. This was on my D800. I have observed exactly the problem behavior you describe here. I, too, have the D300s and the D800, and I can confirm that the D300s fires remote flashes reliably, while the D800 does not. Sometimes, the pattern of failure with the D800 appears to be that it will only trigger every-other shutter, but also sometimes there are several failed attempts between successes. I also have noticed that if the built-in flash is set to TTL, this will improve ( but not cure ) the reliability of triggering remote flashes that are set to M.
My new SB-910 wont fire on remote mode when with my d-800. It stop recieving signal from the camera last night, I have tried different setting on the sd-910. I heard I need to set my d-800 to commander mode. How is that done, I cant find the appropriate setting on the camera shooting menu. I had a similar issue but I had accidently turned the red eye reduction on. Once I switched that off again all worked perfectly with no noticeable delay at all! Good luck! I am triggering a pair of SB-R200s from the D800’s onboard flash commander, everything in manual settings. The frequency of missed flash is random. Sometimes I get over 30 shots without problem, sometimes the first shot after resting a few minutes fires blanks.. sometimes it fires over 10 shots of blanks. The position of the flash were exactly the same between shots, and it remains consistent that whenever the flash doesn’t fire, it would be both flashes. There won’t be a time when 1 fires and the other doesn’t. Another interesting find… is that the firing rate drops drastically when there are more than 2 flashes on the same channel nearby. There was once I was shooting ok until my friend with the same channel settings stood behind me. Like a ghost, my flashes stopped firing 90% of the time, while his flashes sometimes fired. Not sure this applies to the original poster, but some with these issues may find this interesting. One thing I have noticed when I have had CLS triggering problems with the d800 -sb-900 is something I am doing. I shoot fashion outdoors using CLS, and I notice the way I position the camera against my face sometimes has my nose/face slightly putting pressure on built in flash, when shooting verticals. So it isn’t popped up all the way, and doesn’t fire. For some reason with all the focus (bad pun/sorry) on the subject, I don’t even notice I am doing it. With all the differant reports of reliability issues, it took quite a while for me to figure this one out, as my own error. So in my usage, if I get a failed remote fire is: try again with face not pushing on built in flash. Second, with using the 70/200 2.8 with a larger hood, if I shooting verticals, sometimes the lens/hood blocks the signal if the remote is on opposite side of camera from the built in flash. So I shoot it vertical, holding it opposite of my normal with built in flash on same side as remote flash for a more direct path for the light. that is a very good point you are raising there. For some users this could apply (good for them, kind of PEBKAC). except for the last paragraph that sounds exactly the same to what I experienced. Random misfires, and everytime both flashes did not fire. The issue you describe in the last paragraph was not experienced by me, but that is due to the fact that I never shot in such a situation. That post describes the outcome of the whole CLS problem for me (they replaced a circuit board).